I must admit I have really been slacking in the bag pattern review department. I have been so focused on sewing garments that I unintentionally put sewing bags on the back burner. Truth is I actually enjoy bag sewing more because it brings instant gratification. I don't have to try a bag on to check the fit or rip seams a hundred times just to complete one project. 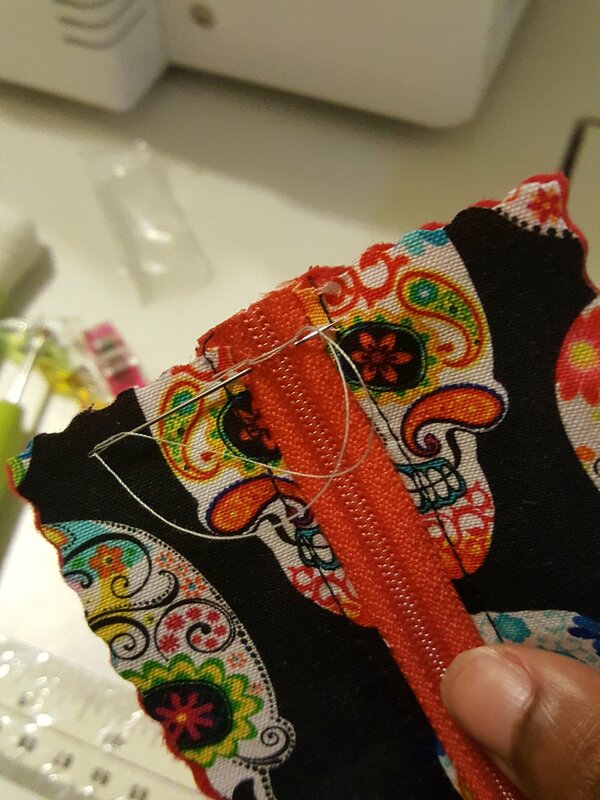 For the most part, when I sew a bag it usually comes out right the first time. Now I can't speak for anybody else but I love a free pattern. While it is true that free patterns sometimes lack important details that you find in a purchased pattern, you really only waste a few hours of your time if it doesn't work out. So Sew Easy has several patterns on craftsy but I really like this backpack coin purse because it is cute and useful. Plus, I love any pattern that allows me to work through my fabric stash. In this case, I really wanted to get rid of some felt sheets that have been sitting in my quarter fabrics basket for several months. Each coin purse probably took about two hours to make from to cut to finish. I've included a pattern review and tips below. No, not really to me. I am not sure if this pattern is beginner friendly. I understood the instructions because I have sewn several bags but if I was reading from a beginners perspective I would say it lacks necessary details. Quilting cotton, felt sheet, lobster claw with key ring, dritz quilting adhesive spray. This is definitely a stash buster pattern. However, I wasn't really impressed with the final shape. I did the bag 3 times and it still does not look like the pattern sample. I top stitched around the bag once it was finished. I only did it for the sugar skull print patterns. I used the adhesive spray to bind the felt sheet to the quilting cotton. Yes, and yes, these coin purses make great stocking stuffers. I used a pinking blade with my rotary cutter to cut my fabric because I knew it would fray if I cut it with a regular blade. Whenever I use a zipper that is longer than needed, i usually have to cut the tape. 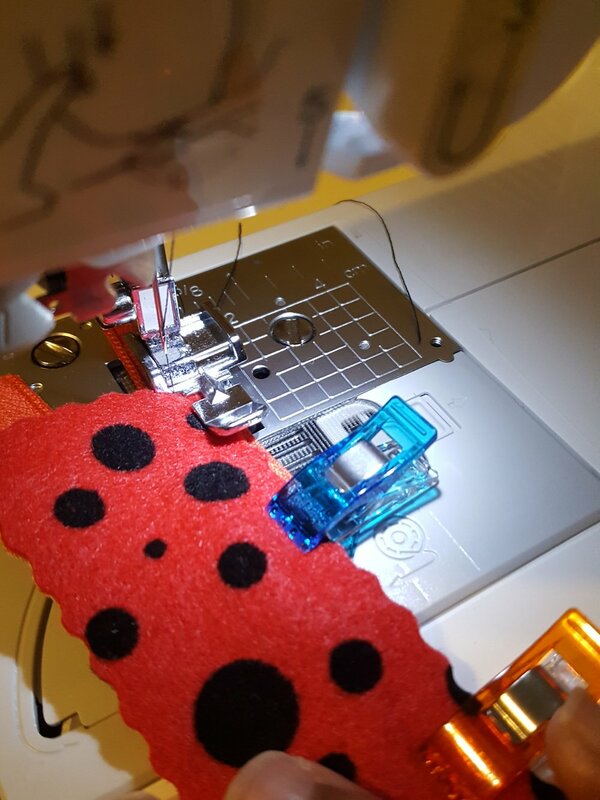 I make sure I sew a few stitches over the end of zipper tape to ensure that I do not slide the zipper pull off the zipper teeth since I have now cut off the metal stopper. I made this mistake when I first started sewing and shed a few tears of fustration as I ripped seams to remove the useless zipper tape. Lesson learned.